What Can I Take To Pass A Hair Drug Test? Finding out you might be subjected to a hair follicle drug test can cause anxiety. The consequences of failing the test can lead to financial and family disaster. It could be the difference between getting hired for a job and not getting hired for a job. In 2018, approximately eight percent of US employees failed their hair drug test due to marijuana use. Obviously, you want to do everything that you can to ensure that you will pass your hair drug test. This article will explain what you can do to pass a hair drug test, and we will also explain how a drug test works to help you fully understand what you are going up against. How Long Does Evidence of Drugs Stay in Hair? Unfortunately, many of you probably won’t like this answer. Unlike a mouth swab or saliva drug test, THC in your hair shaft will basically stay there until your hair falls out or you shave it off. Other drugs can stay in your hair as well including cocaine and opiates. In fact, scientists have discovered traces of cocaine in the hair follicles of Peruvian mummies that were over 1000 thousand years old. That’s a long time for drugs to stay in your hair. However, don’t let that research sway your opinion. The hair follicle drug test at your workplace works differently. In fact, it does not even test your hair follicles, which opens it up to some vulnerabilities. How Does a Hair Drug Test Work? The first step in understanding how to remove the evidence of drug use from your hair is to understand how the test works. Now, the test is often called a hair follicle test, but that is actually an inaccurate name. The test does not test the follicle for drug use but instead tests the hair strand itself for the presence of drugs. This gives you some advantage in beating the test. First, a technician will remove about 100 hairs from your scalp. They will then cut off the 1.5 inches of hair nearest to your scalp. 1.5 inches is removed because hair grows at about 0.5 inches per month and most tests will only go back three months. However, they could cut off more hair, assuming you have more hair, if they wanted to test further back. Now, don’t try shaving your head to beat the test. This will just make the technician take hair from another part of your body. Body hair generally grows much slower, and the follicles replace themselves frequently, so doing that will actually increase your odds of failing a test. Wearing a hairpiece of wig probably won’t work either. These technicians are trained professionals and can easily spot a wig or fake hair piece. Furthermore, they collect 100 hairs, so it’s improbable that you can just hand them a hair strand from your friend. What Works For Passing a Hair Drug Test? Two things do actually work for passing a hair drug test. The first is the Toxin Wash hair detoxification shampoo we at Synergy Detox offer, which is a shampoo that removes the toxins that will trigger a positive result on a drug test. You can buy one bottle, which is effective for only removing toxins from your head hair. It still works for body hair too, but that requires a separate bottle to make sure you have enough for coverage of the extra hair. Toxin Wash shampoos are only recommended if you use drugs less than two times per week. This article mentions THC a lot because that is the most common drug that companies test. However, the shampoo works for removing a wide variety of toxins from the hair. If you use drugs more than two times per week, then you will need to use something a bit more powerful than Toxin Wash shampoos. Precision Cleanse hair detoxification shampoo works great in that case. It works similarly to the Toxin Wash shampoo but is much more powerful. It also comes in one or two bottle formats that can be used on both head hair and body hair. Both these treatment options are permanent for the hair that you treat. However, they only treat existing hair. They do not treat any new hair. For example, if you apply the treatment, then receive a drug test in one week, you will have hair that may not pass the test. You should use the shampoo as close to the expected date of the drug test as possible. All in all, a hair drug test might appear scary for those ill prepared. However, with the right preparation, a hair drug test can be passed. 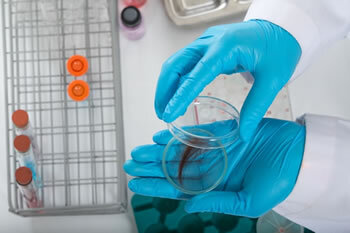 The most important thing to remember about hair drug testing is that the hair first has to come out of your scalp for the drug test to work. This gives you a five to ten-day window after using drugs and before it will appear on a drug test. If you have used drugs in the 90 days before the test though, then you will most likely fail the drug test without applying either Toxin Wash hair detoxification shampoo or Precision Cleanse hair detoxification shampoo to your hair.